The GFE-AD series of True Analog Addressable smoke detectors are the super choice for intelligent control panel applications. The advanced communication protocolcan be offered to panel manufacturers for compatibility connection. 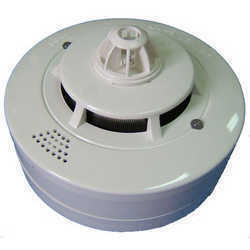 NB-358 are manufactured in accordance with both UL and EN-54 standards, and comes with the combo model of smoke and heat detection.